As the Community Solar Value Project has completed its scope of work under US Department of Energy co-funding, we continue as a team and as individual firms, to pursue the value proposition for community-scale solar, solar-plus storage, solar plus load management and customer engagement to support these Solutions. Feel free to check in with these individual partner firms, to learn more about their work and their services for you. 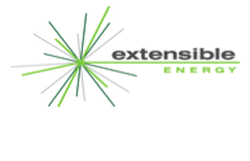 Extensible Energy is an energy consulting and analytics firm that delivers market insights and advanced technology solutions for energy suppliers, energy customers, and third-party market participants. With more than three decades of experience in electricity markets, EE management and staff bring entrepreneurial expertise to today's issues of renewables integration, demand response programs, customer engagement, and multiple areas of utility economics. See www.extensibleenergy.com. Cliburn and Associates, LLC is focused on identifying and replicating best practices and innovation in utility clean-energy, including solar and wind, load management and energy efficiency. Specialties range from market assessment and business model innovation, to stakeholder processes and policy. Led by Jill K. Cliburn, the firm serves utilities nationwide, their associations, research agencies, and communities, in search of collaborative energy solutions. See www.cliburnenergy.com. Navigant (NYSE: NCI) is a specialized, global expert services firm dedicated to assisting clients in creating and protecting value in the face of business risks and opportunities. Through senior level engagement with clients, Navigant professionals provide services extending from expert and advisory work through implementation and outsourcing. The firm combines deep technical expertise with business pragmatism to address clients’ needs in highly regulated industries, including energy. See www.navigant.com. Olivine, Inc. provides a variety of needed grid services for DER implementation at both the distribution and transmission levels. It works directly with communities and utilities in California and beyond to realize solutions at the grid edge. The CSVP especially benefitted from the support of Olivine's current Director of Resource Acquisition and Development, Joe Bourg. See www.olivineinc.com. CSVP also appreciates consulting support and assistance from Ari Halberstadt, Chris Robertson, Spence Gerber and contributors at the U.S. Department of Energy SunShot Initiative, Solar Market Pathways Program, as well as colleagues at Utility Forum utilities, NREL, many other agencies and organizations.